The Intergovernmental Panel on Climate Change (IPCC) is the leading international body for the assessment of climate change. 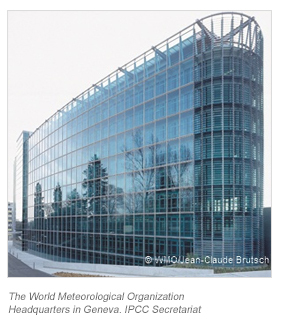 It was established by the United Nations Environment Programme (UNEP) and the World Meteorological Organization (WMO) in 1988 to provide the world with a clear scientific view on the current state of knowledge in climate change and its potential environmental and socio-economic impacts. In the same year, the UN General Assembly endorsed the action by WMO and UNEP in jointly establishing the IPCC. The IPCC is an intergovernmental body. It is open to all member countries of the United Nations (UN) and WMO. Currently 195 countries are members of the IPCC. Governments participate in the review process and the plenary Sessions, where main decisions about the IPCC work programme are taken and reports are accepted, adopted and approved. The IPCC Bureau Members, including the Chair, are also elected during the plenary Sessions.